Why Doesn’t Simple Always Mean Better? Here at TalknSave we tend to travel a lot and when we travel we need to have our phones with us and connected all the time—that’s kind of what we do. Roaming outside of the U.S has drastically improved, Yet, even with all of these changes, international data still isn’t cheap and also may not be the best option for you. Which is why you should choose TalknSave for your next trip to Israel. We have been providing outstanding mobile service to individuals and groups traveling to Israel since 1999. 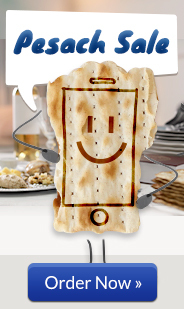 We are proud to be the best cell phone company that can connect thousands of people in Israel every year. 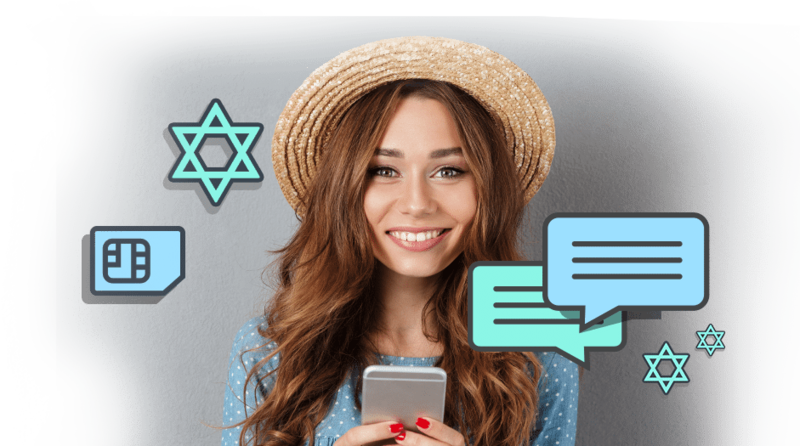 We are just like you – we’ve also been tourists and students in Israel, so we understand how critical it is to be in touch wherever and whenever. Whether you keep in touch by talking, texting, emailing, tweeting or posting to Facebook – TalknSave has a solution for you. However, we’ve also gathered up the international data rates and policies for four major U.S. carriers — Verizon, AT&T, T-Mobile, and Sprint. Don’t know what to choose? Keep on reading for everything that you need to know about roaming services. So we’ve gathered up the international data rates and policies for three major U.S. carriers — Verizon, AT&T and T-Mobile. Don’t know what to choose? Keep on reading for everything that you need to know about roaming services. AT&T has finally joined the rest of the mobile community by offering an additional service called the “international day pass.” What does this new plan include? Excellent question, rather than paying for buckets of data to use abroad, you can now simply add an international day pass to access your domestic data usage in any supported roaming country. Their pricing is dead simple: pay an additional ten dollars a day (per device) to access data internationally. The pass will stay on your account until you choose to cancel it; but it is only activated and you are only charged for each day you are abroad. Like all good things that sound to good to be true; there is one big drawback, your international data may not exceed 50% of your total data usage over two consecutive months. Sounds complicated no? Let’s imagine two months down the line and hmm, you accidentally used up the majority of your data when you were in Israel over the chaggim. How will you survive the next three, yes, three weeks with no Youtube, Whatsapp, Uber. Hmm…sounds a bit more complex than you initially thought. Here is the best part– wait for it– if you do exceed your data then your plan may be automatically be stopped. Imagine being abroad and suddenly you find yourself phoneless just because you unknowingly surpassed your data usage. In today’s world people equivalent being phone-less to being homeless; especially when you’re abroad, your phone becomes your lifeline. Currently, T-Mobile offers free (that’s right-free) international data roaming on many of its postpaid plans. If you are traveling to one of the 140 countries covered by their roaming plans. But like anything free it does come with a caveat–the data you’re given comes with speeds that are limited to 2G. So basically, we are talking about is data slower than watching a pot of water boil. If you want faster speeds–and hey we all do, you’ll have to pay for an additional fee for an add on pass to bump up your internet connection. However, even with the added pass, you might still face slower internet depending on the country and your phone’s radio bands. At the end of the day T-Mobile’s Simple Global plan and its international capability is really best served for individuals wishing to catch up on email, Twitter and Facebook. It is definitely not for lengthy web browsing, uploading, downloading or tethering. Still, even at what amounts to 2G speed, it’s free and it keeps you in contact even if it might conjure up the thought of AOL dial-up tones as you wait for Facebook to load…and load…and load. Like most carriers, Verizon has moved away from pricey per-MB roaming plans and towards systems that charge a set rate per day. The $10-per-day TravelPass program that oh-so-generously lets you use your regular data plan in over 100 countries worldwide. This should mean low bills and hassle-free roaming, but some customers who’ve come home to four-figure bills claim it’s anything but. 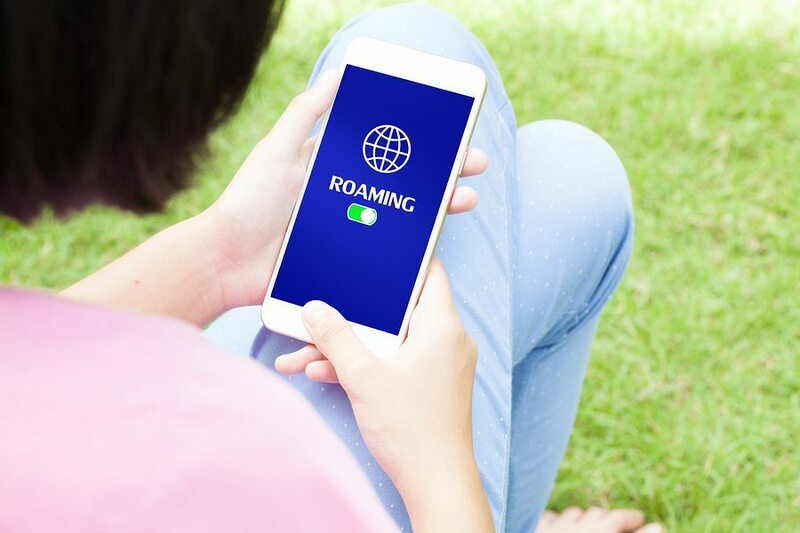 Recently, several Verizon customers have mysteriously received bills for roaming charges incurred in Jordan, even though they never went to the country. How could this happen? Easily, it appears that devices may have accidentally roamed onto a Jordanian network despite the users remaining in Israel the entire time. Verizon didn’t pick up on the error, and instead billed customers for any roaming data used “in” Jordan. Problems with the billing system aren’t limited to Israel and Jordan, either. One user claimed a bill of over $2,000 for a visit to Brazil, and another said that TravelPass activated even though he didn’t use his phone at all. Are you as shocked as I am?! Even though Verizon doesn’t use gimmicks like ‘free data roaming’ to lure you in and then put you on a slower network and restrict your data use while outside of the U.S.” This is superficially true, in that, yes, T-Mobile’s free international roaming is 2G (I’ve tested it and it is pretty slow). However, what they don’t mention is that because Verizon phones are CDMA, not all of them will work on European servers, and those that do might not have 4G capability on GSM networks. Does that mean your phone won’t work? No, but there’s no guarantee it will (or will work fast) either. Check out Verizon’s Travel Planner for more info and where your Verizon phone will work 100%. But basically, taking a swipe at other providers for slower service, when there’s no guarantee their service will be faster, is misleading. Sprint’s international travel options mainly fit into two programs: Sprint Global Roaming. Sprint Global Roaming is an option you can add to your Sprint plan at any time, and you can keep it on your account, free of charge, for as long as you’d like. Once you’ve enabled the feature, you can travel to most countries around the world, including all of North America and South America, China and Europe, and get free text and free data on 2G speeds. If you want to talk, you’ll pay 20 cents a minute. If you’re interested in faster, 3G speeds, Sprint offers a one-day pass for up to 100MB of data at $15. A seven-day pass will set you back $25, but you’ll get 200MB of data. And a 14-day pass ups the limit to 500MB, for $50. Beyond those programs, you can add an International Data Pack to your account and pay between $30 and $125 per month in Canada and Mexico, depending on whether you need 55MB or 325MB of data. These changes could make Sprint worth looking into if you travel frequently. You do have to have your primary usage in the US, though. If you’re already a Sprint customer, you don’t have to do anything to get this good stuff switched on. When traveling outside the United States, it’s usually a smart idea to do think about how you will be using your phone. Know your mobile needs before leaving home. We also recommend staying on Wi-Fi whenever possible — make use of Wi-Fi calling on Sprint or T-Mobile or perhaps try a solution like Skype or Hangouts. Also you always have an option to rent a mobile hotspot during your trip, providing you with instant and secure WIFI wherever you may find yourself. How simple does that sound? If you just have data though — and there’s nothing wrong with that– so long as you’re willing to pay and remember that it’s important to do the math. The good news is that there are options and the options have gotten much better over the years. Not that you’ll likely have much of a choice when it comes to switching carriers just for overseas use, but comparison shopping can never hurt. We look forward to hearing how your experiences have been while trying to stay connected while abroad.